Last time, I got into considerable detail about achievable ways to monetize your blog by selling products. Products require an extensive infrastructure, an understand of supply and demand, and considerable resource management to master. Going to this effort can yield huge results, but it’s a long game and there is risk involved. 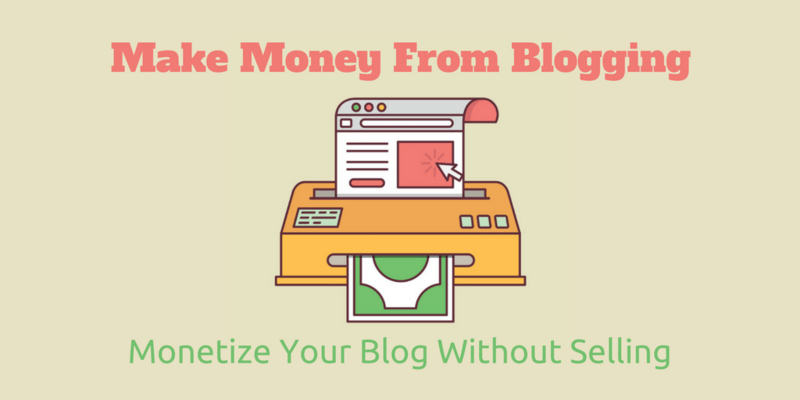 This time, I want to help you monetize your blog without the need for products. This will help you establish a second stream of income through your website by leveraging your audience and content in a different way. Namely, that means making the most of the quality and value of your content to other businesses, your audience, and yourself. I’m going to give you the three best ways to monetize your blog, again ranked in terms of their relative difficulty, so you can start to develop that all-important income stream after all your hard work developing an audience. 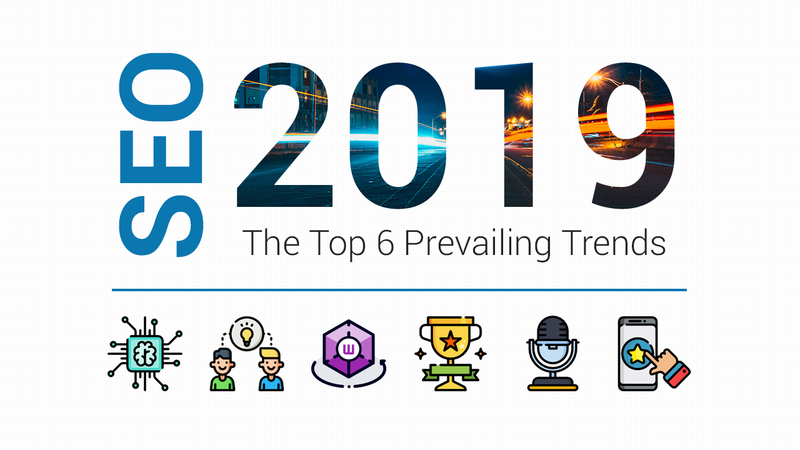 There’s even better news for those who dare take on products – a lot of these approaches can be synthesized into a product-selling blog to create even more revenue, or simplify the way that revenue is generated. There are two main ways you can make money by placing ads on your site, and each has its own merits. These are Cost Per Click and Cost Per Impression. Cost Per Click means you get paid every time someone clicks a link. Cost Per Impression means you get paid for the number of times an ad is displayed on your site. Because Cost Per Click gives a definitive means to track lead generation and conversion, you’ll get more money from CPC in principal. This does mean however that you have a stake in the quality of the ad – a worse add will get fewer clicks, and less money to you. However, Cost Per Impression means the optimizing of the ad isn’t your problem, and you get paid up front. The difference is, because the advertiser takes on all the risk, the amount you make per impression is much lower than per click. So How Do I Place Ads Effectively? There are a number of great tools out there for writers to use to create high quality ad placements. AdSense – AdSense is the most established way to get contextual ads into your content. Your blog must first be approved by Google, and there are many restrictions on use. Some prevent click fraud and audience baiting, others just stop you from using other platforms (like those listed here) alongside it. What’s more, ads in search results must use Google Search. All that said, Google negotiates the price for you, and you can be paid per impression, click, or action (lowest to highest paid respectively). This means, if you’re confident you can sell, you can set to action for the highest yield. InfoLinks – InfoLinks offers a seamless way to get advertising into your copy. A keyword will appear double underlined and when users hover over it, a small rollover ad will appear with details on the product or service. This is the most ‘harmless’ way to action your content, but you get 70% of the revenue from each click, with InfoLinks taking 30%. That’s the cost for ease of use. Media.Net – Powered by Yahoo-Bing, this gives you a more hands off approach to the ads on your site, by optimizing them based on the click-throughs your audience make. This means it takes a little more time to get running, but it pays via PayPal (after you’ve earned $100 or more) and comes with a dedicated account rep who will make it their business to help you maximize your earnings. Sponsored Reviews – You needn’t go through an agency, and can instead take your traffic numbers direct to businesses you love, and offer them the opportunity to pay you to write a review targeted at your audience. You need to be a little more entrepreneurial here, but it’s a common practice, and arguably the least invasive of all the options. • Free – it costs nothing to join any of these platforms, so in that respect there is never any direct financial risk to joining an ad platform. Equally, a sponsored review is one you’re paid to write, so no harm done there. • Easy – they are designed to be as easy and intuitive as possible. It’s a pretty simple premise to grasp, and you can make small modifications to existing content in order to include ads. 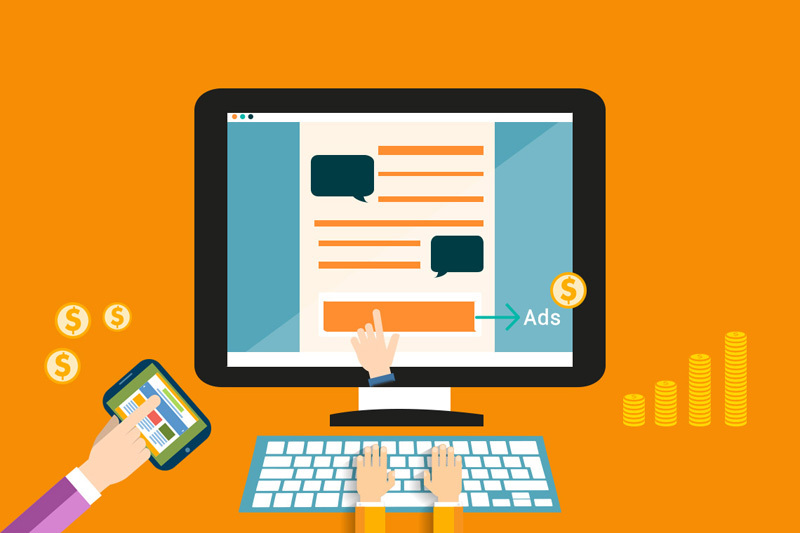 • Quick – If you don’t have time to create the advertisements themselves, PPC is perfect as the provider does it for you. • Multiple Sites, One Account – If you run multiple sites aimed at different niches of your main audience, you can syndicate campaigns to every one of them from one account, keeping it simple. • Customised Looks – you have just enough control to make sure ads don’t stick out like a sore thumb, by matching the colors, fonts and more to what your site is already using. • Paid for Passion – if you love a product anyway, getting paid to write a positive review about it isn’t a hardship. • Lack of Control – Ultimately, Google is in control of the ads, and they’re at the mercy of who’s paying to advertise. That means you don’t get to pick what you show your audience, and that can discourage that audience, losing you a revenue stream. • Reputation – Your reputation is based on your authority, and poor ads can undermine that authority and harm your reputation. • Paid To Leave – You only get paid when your ad is clicked, and that means you earn a few cents for someone to leave your site. • Ads Slow Down Your Site – Ads slow down your site because they always load first. This means people can lose patience with your site and blame you for preferencing your advertisers over their experience. • Shilling – With sponsored reviews, people often believe that the money came first, and you’re paying hollow lip-service to an advertiser. This can affect your credibility if handled badly. Timothy Sykes and Perez Hilton are the two biggest individuals making money from selling ads, at $1.8m and $5.4m respectively. The Huffington Post blows every other blog out of the water at $28 million. The important thing to note is that their topics are ‘get rich quick’ ‘celebrity gossip’ and ‘news’. You don’t get more broad or evergreen than that! Then hosting ads could be the simplest and best way for you to start earning money. This particular method means you’re getting paid for content you’ve already created, and that you were going to create anyway. On that basis, it’s the simplest possible way to earn money from your content. That said, getting people to pay that money is a little more challenging, because there’s nothing else offered. This means your content has to be of the best possible quality, and be of real, tangible benefit to readers. What’s more, you need to be able to set up, manage and process payments. Fortunately, this can be as simple or as complex as you want it to be. So How Do I Create A Premium Paid-For Blog? S2 Member – S2 Member is a free WordPress Plugin that enables you to set up premium parts of your website that are only open to subscribers. You can set multiple subscriber levels, or have a pay-per-post format. S2 Member allows people to set up their subscriptions via PayPal, for the easiest subscriber management. AMember – AMember offers an all-in-one solution, but it comes at a price. It helps you take subscription payments, manage your subscriber profiles, and integrate with your blog, but also allows you to link in forums and CMS, deliver newsletters and even set up an affiliate program. Patreon – Patreon is an attempt to use the power of the internet to give artists and creatives the patronage they once benefitted from, funded by crowds. It will take some effort to set up a page and a compelling pitch, but once done, you can direct your audiences to the Patreon page to get their donations. Buy Me A Beer – A WordPress plugin that enables PayPal donations linked to a specific action – buying the writer a beer, coffee, or other affordable small pleasure. The tool is a fun and light-hearted way to encourage donations. Leaky Paywall – Leaky Paywall allows people to read a certain number of your articles for free before being required to pay to read more. Best of all, it still allows premium content to be found by Googlebot, so your rankings won’t be affected by ‘hidden’ content. TinyPass – TinyPass is a scalable, cloud-based solution that offers metered reading, free for a certain time-scale, or subscription based options, which can be edited and changed on-demand as you develop your strategy. · Complete Creative Control – you don’t have to sacrifice your content to match advertisers’ agendas, and you don’t have to treat your audience as a resource to be sold. · Carrot On A Stick – using a subscriber system allows you create a veil that allows people to see some things but not all – the promise of secret wisdom is one of the most powerful marketing tools of all time. · Actioning Fans – If you have already established a reputation among their readers, they may have been waiting for an opportunity to reward you. If you command their respect, they would prefer to pay you than third parties. · Conversion Anger – If you create a paywall behind which previously free content is now made premium, you risk angering your audience and turning them against you. You need to manage the conversion artfully. · Fewer Levers – A paywall, subscription or donation is binary – people either do or they don’t. While subscription levels are possible, they’re not popular. This means it’s hard to up-sell customers and increase their lifetime value. The focus therefore needs to be on more, not on high quality, users. · All Problems Are Big Problems – If a physical product is defective, it usually only affects one person. If your site goes down, all your subscribers are affected simultaneously. You need to deliver great experience, speed and reliability when people start paying to use the site. Zach Weinersmith or Saturday Morning Breakfast Cereal gets $9,000 a month through Patreon. Tuts Plus draws in over $100,000 a month from its membership area. Paywalls for blogs are too recent an innovation for hard data, but a huge number of newspaper websites are now creating paywalls to recover the money lost from the death of print sales. This suggests a growing trend toward the standardization of paid-for online content that bloggers can bandwagon. Then this could be the strategy for you. You’re here right now because you’ve created a website with good traffic and a regular audience and you want to know how to convert that into money. Well, I’m here to tell you that the very fact you’re here right now means you have all the tools to do that – by selling those same skills you’ve developed to others. Website Building – You’ll be surprised to know that most of the people out there still thinks that website building is rocket science. From getting a domain, installing CMS to adding templates and customizing the menus, these can now be done by any layman without the need to have a background in IT or programming. But the thing is, a lot of folks don’t know that, or just don’t have the time or willingness to go through the documentations. This means that building website for others using CMS is a lucrative business on its own. All you have to do is go through the process for them and add the expenses (hosting, theme, plugins etc) into the final bill. Copywriting – This is the foundation of content marketing. You’ve done it for yourself, which means you can do it for others. From blog copy, sales copy, email copy to even press releases, the demand for writers is in an all-time high in this era of content marketing. Show them your metrics and traffic and you have an instant sales pitch. Design – If you can make things look slick and modern using Photoshop, InDesign, or even Canva, you can make money taking commissions. Think stuff like creating logos, tshirt prints or caricature design. This works especially well if you’re an established artist with arts in your blog serving as your portfolio. Your readers already know your level of quality and it’s always better than trusting some random dude from Fiverr. Coaching – Other people are going to want to do what you’re doing, and you can help them do it. Remember, you only have to be one step ahead of the next person to have something of value to offer them. SEO – If you’ve built an audience, you’ve done it with SEO. 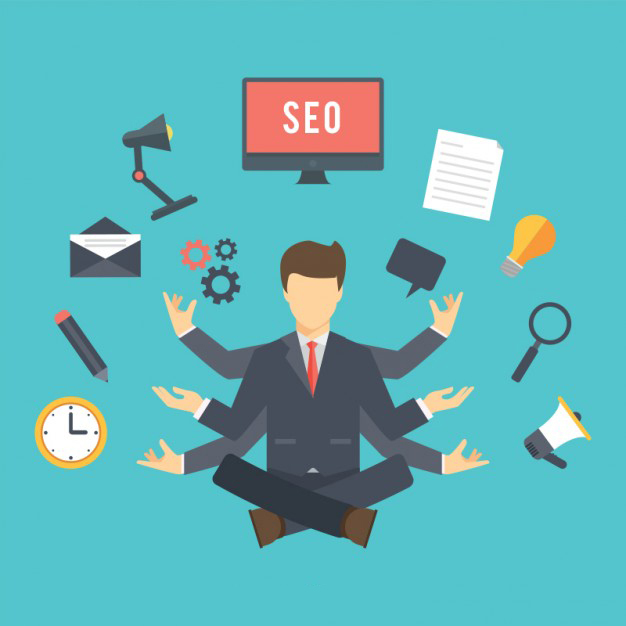 SEO is a lucrative field in its own right and while you’ve saved yourself money doing it yourself, you’ve also given yourself the tools to make money. Consultancy – If you’re a content blogger and you’ve developed a reputation as an authority, this can be converted into consulting work, seminars and speaking engagements with relative ease. So How Do I Sell Services? Unique Problems, Unique Solutions – Use your blog to demonstrate case studies of where you applied your broad expertise in a specific way for someone other than yourself. It’s worth taking on a couple of mentees for free to establish your credibility and give you evidence. Time is A Premium – You charge for your time, because all the time you spend helping other people’s businesses takes away from helping your own. You need to balance both, which means charging at least double what your current work pays you per hour. This is because while working for them, you can’t work for yourself, so you start out effectively losing money, and have to recoup that AND make a profit to make it worthwhile. Referrals and Networking – Networking is your friend. Your audience is your network, which means engaging with people on an individual level. Post broad, global solutions in the comments to those who ask you questions, then convert them to a private conversation where you can nail down the specifics of how you can help. A Demonstrative Tool – As well as the content that brings your audience in, you advertise yourself by posting demonstrative posts. These give people concrete evidence of the positive changes you’ve made. You can start doing this by using the results of this same site, or a specific post, or the success of a graphic you made, before expanding out once people ask you to do the same for them. Start using multimedia as soon as possible so people can ‘meet’ you and form an opinion of you, as well as your work. Local or Global – The online world allows you to do almost any task long distance, but often people neglect the local market and the power of personal connection. Locally optimize your site to deliver targeted traffic. If you can establish yourself as a pillar of your community who also has global level online success, the neighbors will be queuing up to pay you. • You Are The Product – A personal brand is a powerful thing, so as long as you’re a positive, proactive person with enthusiasm for your subject matter, your charisma can be your most powerful sales tool. · The Work Is Done – In most cases the work needed to start consulting is already done. Most readers are happy with deliverables, but service customers want your process. You had to go through the process and optimize it anyway, so offering it as an IP is the next logical step. Same goes for skills like writing and design. • Easy Incentives – You can offer your existing audiences, such as your email subscriber list, preferential rates on services and give them discount referral codes to encourage them to pass your name on to their networks. • Intangibles – Many of the benefits you can infer on people don’t follow strict metrics like SEO does. This means it’s important for you to structure your work with people – tell them what they’ll get, give it to them, and show them they’ve got it. • Time – Because you’re outsourcing yourself, you will have to work harder, for longer to keep both your site (which gets you customers) and their work. • Expectations – Some people want a magic bullet. Others have no idea what they want. You need to satisfy all of them. This can take some time and commitment, so you have to be good at people skills. • Levels – You need to reach the highest level in order to be able to continue your relationship with clients and up-sell them to your other services. Being one step ahead means you can only get paid once. Stay five steps ahead. Sam Dean funds his dreams consulting nine months out of the year at Expert360. Belle Beth Cooper writes for HuffPo and others, giving away a little knowledge for free to up-sell her consulting and app services. 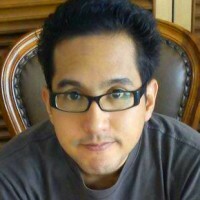 Wil Reynolds is an SEO expert who turned his understanding into a Seer Interactive. Then this could be the path you take to fortune and glory. So, we’ve covered the three best ways to sell products and the three best ways to monetize without them. From these, you should now have a comprehensive understanding of what is required, in terms of tools, personality traits and expertise, to achieve each one of them. What’s more, you should have been able to identify where you already ticked the most boxes. This will give you the biggest possible head start. There’s an old proverb: Don’t put your ladder up the wrong wall. Basically, this means you’ll waste your effort climbing to the top if you haven’t chosen wisely where to start climbing. Right now, your website and your audience are your ladder. These articles should mean you won’t put that ladder up against the wrong wall.